Perceiving what others feel and want and reacting accordingly is both complex and important. The mission of the Social Brain Lab – the joint effort of the Gazzola and Keysers group – is to understand the neural bases of these processes. Understanding these processes is complex, because the brains of other living humans are the most complex object in the universe, and our ability to so intuitively feel what goes on in these other brains is an amazing and mysterious feat, that requires what so far no artificial system can do: transform the complex observable behaviours of others into hypotheses of what these people feel inside of them, hidden from view. Doing so requires an intricate neural mapping between our senses that let us hear, see and feel what other do and our own emotional, sensory and motor systems that endow us with priviledged first-person representations of what humans can feel and do. Transforming that perception into appropriate social reactions further requires complex mappings of these perceptions onto our motor and emotional system. Cracking the code of this complex mapping is what the social brain lab is all about. This requires integrating the full gamut of neuroscience tools. We need to image brain circuits in humans to understand what brain regions take part in these processes and how they interact. We need to study brain activity at neural resolution in animals to understand the cell-types and microcircuitry involved. We need to modify brain activity in humans to test whether particular brain regions contribute to perception and behavior, and we need to do the same in animals to modify activity in particular cell-types to understand the molecular basis of these processes. 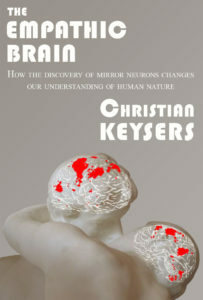 Read more about our research in Christian Keysers’s book The Empathic Brain. Available at Amazon US, EU, UK in English, or as translations into Dutch (Het empathische brein), German (Unser Empathisches Gehirn), Turkish or Japanese. Understanding these processes is important because our ability to work with others is at the very core of what makes us human. All of what makes us proud to be humans – from language to knowledge, from the arts to bringing a man to the moon – would be impossible without our amazing ability to collaborate so closely with one another, to learn from one another, and take care of one another. Understanding what makes us so exquisitely social is thus a journey to the very heart of our humanity – to who we really are. Debilitating dysfunctions of social interactions are encountered in 3% of the population – in autism, conduct disorder or psychopathy – with severe consequences both for the patients and those close to them. Currently, we lack effective therapies to normalise their social functioning. 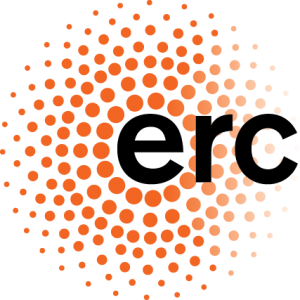 Understanding normal social functions and their variations at a detailed, multilayer neural level is a long-haul effort that will take decades, but is the only route to inspire new and principled treatments and a powerful example of the ambitious fundamental research that the NIN is so uniquely poised to address. Because of the complexity of the task at hand, the groups of Gazzola and Keysers work together in a close, collaborative and interactive way, sharing equipment, people and ideas, to create a unique environment, the Social Brain Lab, to jointly create the critical mass of social neuroscience expertise to perform a truly multilevel effort to decipher our social brain. The social brain lab is equipped to integrate research in humans and rodents. For this purpose it has the following equipment. 2016 Zaki J, Wager TD*, Singer T*, Keysers C*, Gazzola, V*. The Anatomy of Suffering: Understanding the relationship between nociceptive and empathic pain. Trends in Cognitive Sciences20, 249-259. 2015 Cerliani L, Mennes M, Thomas RM, Di Martino A, Thioux M & Keysers C. Increased functional connectivity between subcortical and cortical resting-state networks in autism spectrum disorder. JAMA Psychiatry72, 767-777. The Keysers lab studies fundamental issues in social neuroscience. To do so, we are entirely dependent on public funding. 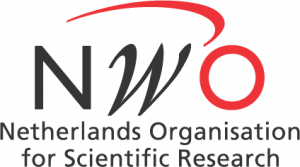 We are enormously thankful to the Dutch Science Foundation (NWO) and the European Commission for being dedicated patrons of such frontier science. 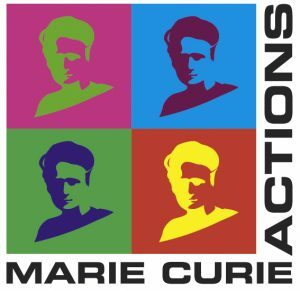 Without the Talent Scheme of NWO that has supported our work through VENI, VIDI and VICI grants, and without the European Commission that has supported us through the ERC and several Marie Skłodowska-Curie actions, we would have been unable to tackle the mysteries of our social nature. In addition, the Dutch Government has helped us deeply through the National Initiative for Brain and Cognition.